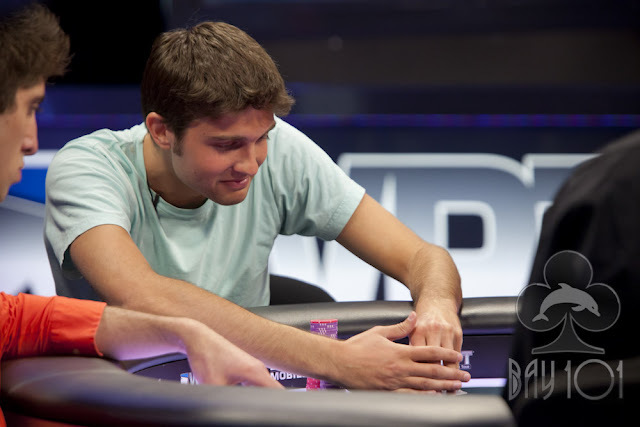 Joe Serock was all in preflop holding the [9s][9c] against the [Kc][Qc] of Moon Kim. The [8s][6d][3h] flop was safe for Joe, but the [Ks] fell on the turn, leaving Joe needed one of the two remaining nines on the river to avoid elimination. It was not to be, as the [7d] fell, sending Joe to the rail in 3rd place. He will earn $320,400 for his efforts.